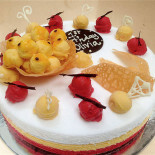 An array of hand-made gelato, sorbet and classic Italian “torte”. 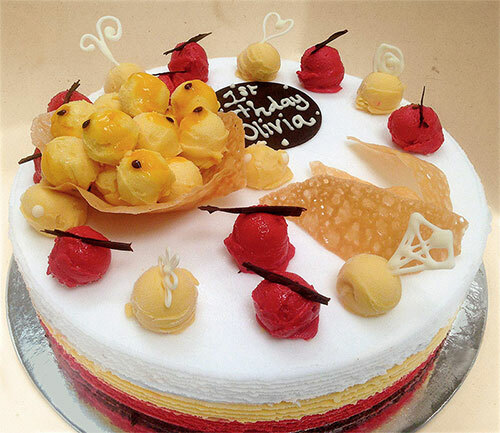 Prepared with premium local & imported ingredients and an exacting eye for detail. Made to order. Please provide 3 days notice. 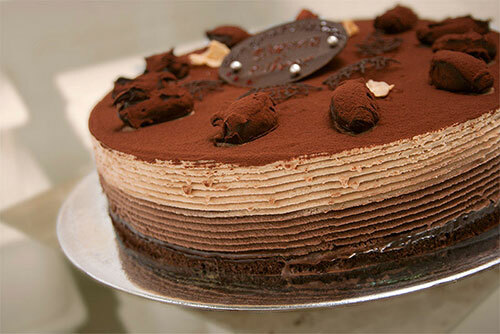 Chocolate and hazelnut gelato dusted with Dutch cocoa on a chocolate biscuit base smeared with chocolate ganache. 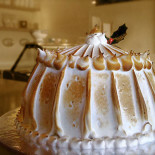 Presented with torched Italian meringue. 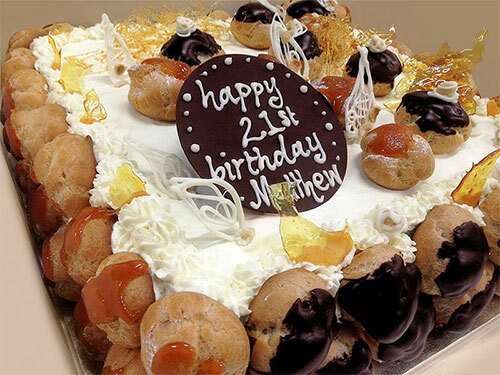 A strawberry sorbet heart amid mascarpone and chocolate gelato encased in panettone and a candied fruit biscuit base. 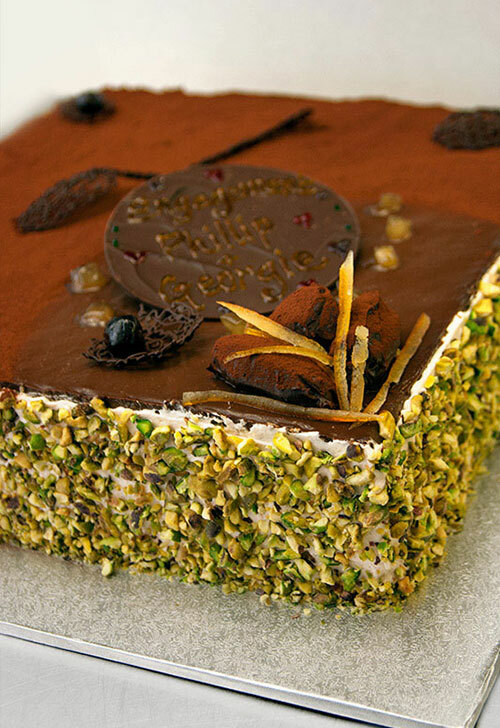 Layers of pistachio and hazelnut gelato crowned with scoops of Sicilian torrone on a chocolate coated spicy orange biscuit. Classic blend of roasted almond and zuppa Inglese gelato with smatterings of génoise sponge soaked in Alkermes liqueur and peaks of fior di latte and vanilla bean gelato. A robust pairing of chocolate and sour cherry gelato atop chocolate biscuit and rum ganache. Sheets of mascarpone gelato and strawberry sorbet on a chocolate biscuit. Finished with a medley of sorbet scoops, passionfruit ripple and brandy snaps. Chocolate matched with caramel ripple gelato resting on a spiced ginger biscuit with milk chocolate glaze. Tiramisù gelato scoops plunged into espresso gelato on a base of pavesini drenched in espresso coffee and Tia Maria. 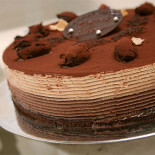 Adorned with chocolate gelato balls and dusted with Dutch cocoa. Not so stock standard. 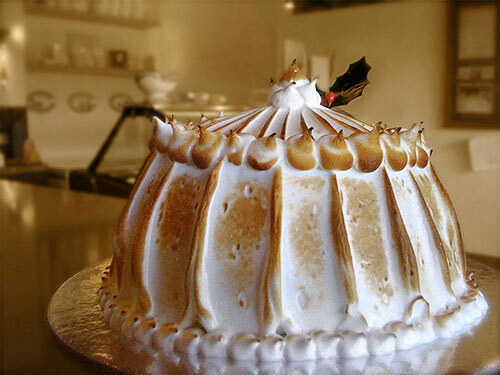 Classic blend of strawberry, vanilla and chocolate gelato on pan di Spagna soaked in mandarin liquor and garnished with torched Italian meringue. Complementary varieties of raspberry, mango and lemon sorbet with features of passionfruit sorbet and brandy snaps. Asian inspired arrangement of coconut, mango and coconut speckled with black sesame. Velvety chocolate sorbet with a citrus burst of blood orange sorbet. Seven tiered composition of pasta brisè salata, vanilla and lemon scented crème pâtissière, genoise sponge drenched in spiced syrup, puff pastry and chocolate crème pâtissière. 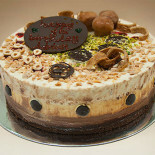 Chocolate nougat cream and citrus & vanilla cream mingled between layers of hazelnut sponge, and a hazelnut meringue disc. 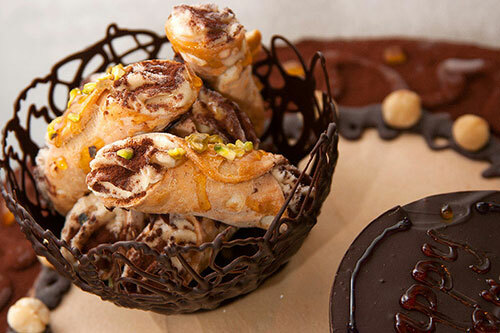 A pyramid of cannoli shells with assorted fillings consisting of vanilla, chocolate and ricotta with candied fruit and pistachio. 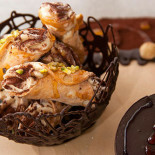 Sheets of classic puff pastry amidst hazelnut and chocolate crème diplomate and vanilla sponge steeped in orange liqueur. 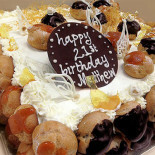 Vanilla sponge soaked with Strega liquor, vanilla and chocolate crema pasticcera topped with bignè filled with coffee cream. Strawberries and cream. Layers of sponge cake moistened with strawberry sauce, vanilla infused chantilly cream and lashings of fresh strawberries macerated in Maraschino liqueur. 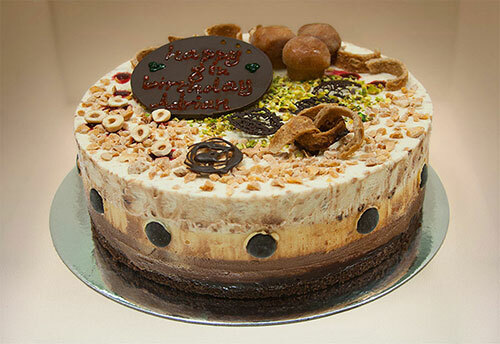 Chocolate and vanilla sponge “inzuppato” in orange liquor, vanilla and chocolate crema pasticcera, finished with flaked almonds, chantilly cream and all the usual “stronzate” trimmings. 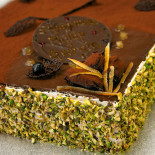 Dense and full-flavoured torte made from hazelnut meal and couverture chocolate, coated and layered with semi sweet chocolate ganache. Short chocolate mousse tortino on a buttered biscuit base coated with chocolate glaze and enhanced with chocolate shards.